In the light of the public discussions about plastic waste and the amendment to the Packaging Act, which comes into effect on 1 January 2019, the requirements and expectations for recyclers are also changing. In future, it will also be a question of processing more used PET bottles into recyclate. 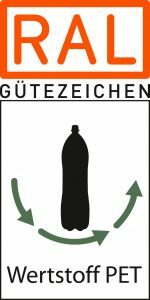 The RAL Quality Assurance Association “Resource Chain of PET Beverage Containers” (Wertstoffkette PET-Getränkeverpackungen e.V.) has set itself the goal of supporting this process and realizing it together with its members. Because a key to the increasing resource efficiency required by law and the strengthening of recyclable material cycles such as bottle-to-bottle recycling lies in the comprehensive recycling of the raw materials used and of non-refillable PET beverage bottles. This requires further expansion of recycling capacities in Germany. Recyclers are an important part of the material cycle for deposit PET beverage bottles of the DPG system (Deutsche Pfandsystem GmbH / German deposit system). In the RAL Quality Assurance Association “Resource Chain of PET Beverage Containers” (Wertstoffkette PET-Getränkeverpackungen e.V. )., companies from this sector have joined forces in order to increase the proportion of recycled material in PET bottles together with other players involved in the recycling process. The quality association is a strong and independent partner and represents your interests in order to achieve this goal. As a strong association, we offer you know-how, networks, advice and illustrate that economic and ecological interests do not have to contradict each other. This enables you to implement legal regulations in a cost-effective and practicable manner and to strengthen the recycling cycle. With us, you can underline your image as a sustainable company and set yourself apart from the competition. Through the RAL Quality Mark, you are expressing a public commitment to bottle-to-bottle recycling and the upcycling of the PET material in demand. With its technical requirements, quality assurance sets the benchmark for the process stages of the PET beverage packaging recyclables chain. Our quality and test criteria define the content and scope of the requirement profile for the recyclate production for PET beverage packaging – covering the entire recycling process: incoming goods, process control and outgoing goods. In the process stages described, the specific requirement criteria for r-PET in granulate and flakes must be met. 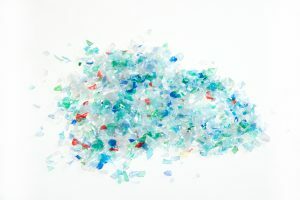 For example, the entire recycling process must be carried out in accordance with Regulation (EC) 282/2008, only material from collection systems for PET beverage packaging may be used and only machines for the production of food-grade granulate and flakes may be used. Further information can be found in our test and quality regulations for recyclers.